Did You Know? California had one operating nuclear power plant: Diablo Canyon, which generates 2,160 megawatts – enough to power over 200,000 homes. Emission-free energy, powered by you. 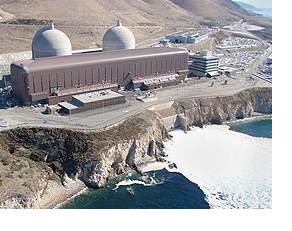 While there are just a few nuclear power plants in California, they account for almost 14% of our energy generation. Nuclear power plants generate energy by capturing the massive amounts of energy released by the splitting of atoms to power steam turbine-generators. This safe and continuous supply of energy requires countless engineers, operators and technicians to operate the large scale facilities and ensure California’s energy needs are met. Support the daily operations within nuclear power plants while gaining valuable, hands on experience and knowledge about nuclear energy. Ensure the safe and reliable operation of plants and their ability to deliver energy in support of demand. Help strategize, plan and monitor the use of nuclear power at nuclear power plants. You’re role ensures the proper use, efficiency and handling of nuclear materials within the plant and gives our customers peace of mind with uninterrupted, emission-free energy.